Coaches put in a lot of time and hard work to help their athletes succeed. Let her know she's done a fantastic job with the coach female brunette personalized Christmas ornament in a very stylish design. 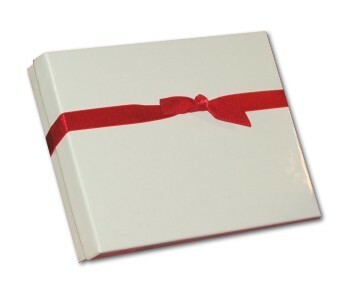 We hand letter her name and year on the front as well as an extra message from you on the back, at your option. 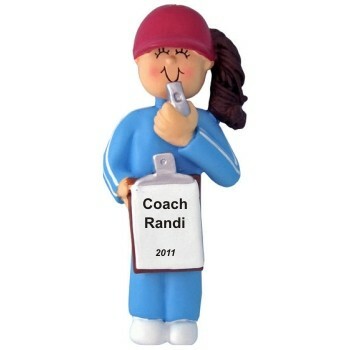 The brunette female coach Christmas ornament personalized just for her is one of the sports ornaments we offer that arrives in a plush velvet gift bag, a Russell Rhodes exclusive.